Are you happy, healthy and fulfilled? Are you living a life of harmony? Have you discovered your talents and have you set your goals? The Rotaract Club of Νicosia is organizing a Life Coaching Lecture whose objective is to give you the tools to see challenges as opportunities and embrace change in your life. Through this event the Rotaract Club of Νicosia aims to support Vagoni Agapis, a charity organization that helps families in need. Everyone’s contribution is important! At the event we will be accepting food donations (dry food only please) to support families in need. 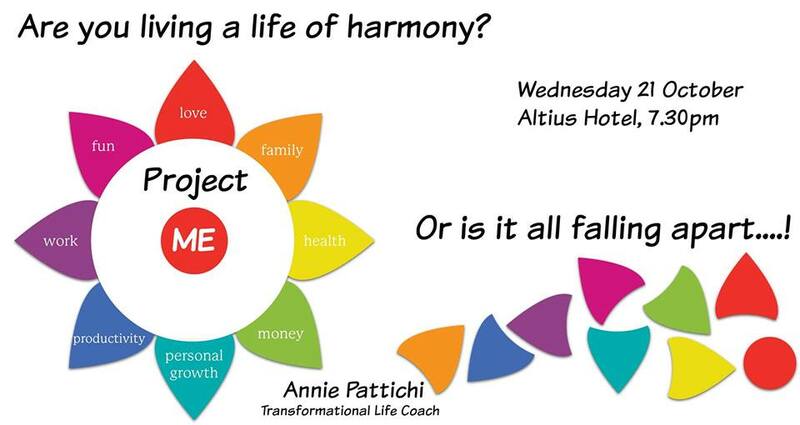 Guest speaker Annie Pattichi – Transformational Life Coach. The Lecture will take place on the 21st of October , Wednesday 2015,at 7:30pm at the Altius Boutique Hotel in Nicosia (coffee and biscuits 2 euros). Annie Pattichi is a Transformational Life Coach, a Clinical Psychologist and Clinical Hypnotherapist and Instructor. She also practises Emotional Freedom Techniques (EFT) and Neurolinguistic Programming (NLP), Past Life Regression and Life Between Lives Spiritual Integration. Using all these modalities and methods she guides people and groups to find their own source of wisdom, so that they can take control of their lives. She is actively involved in volunteerism and she’s an active member of Vagoni Agapis.